Rowan Blanchard attended the YouTube and LOVE Magazine’s Celebration of #movingLOVE in LA on Sunday (March 17). 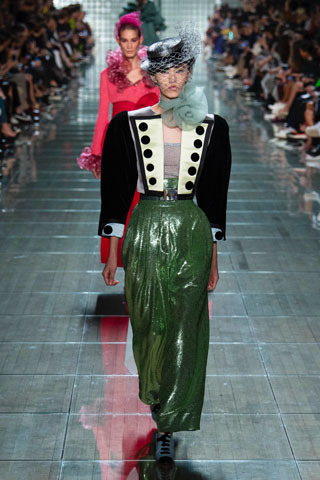 It seems that the young actress shares my love for the Marc Jacobs Spring 2019 collection, as this is her second look. 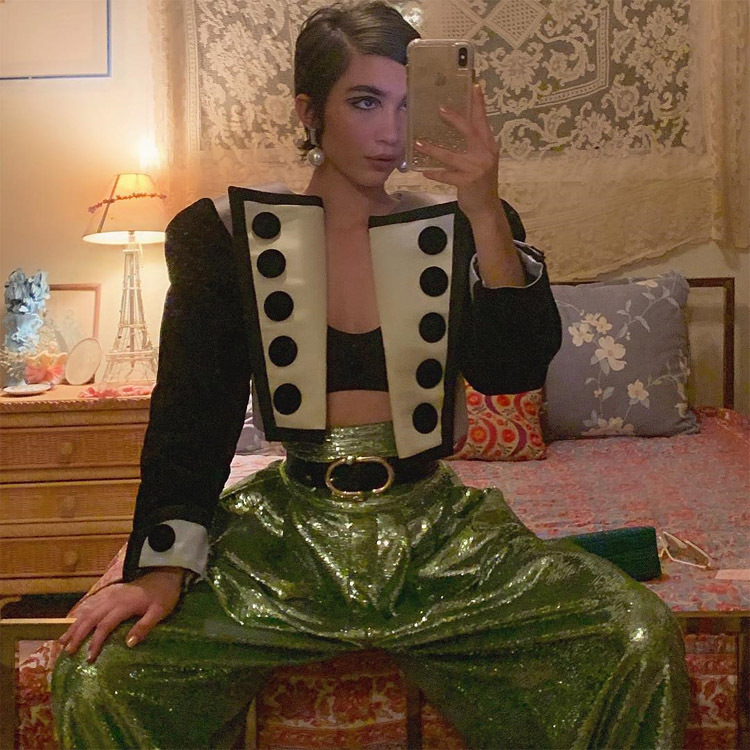 The actress posted her latest look to her 5.2 million followers on Instagram which saw her rocking a double duchess Matador jacket and sequin trousers. Is this an easy look to pull off? No. Did she? In my opinion, yes. See the full look here. What might be deemed as too costumey for some, is a playful, artistic and creative expression for others. Yep. I’m firmly in the latter corner. Her age is immaterial to me, she knows how to rock clothes, as she proved at the Vanity Fair Oscar party. This look was styled with Schutz ‘Ariella’ vinyl sandals.